What is a luthier, you may ask? It is one who makes or repairs stringed instruments, such as guitars. And for the past five years there has been an annual gathering of some of the best luthiers in North America at the storied town of Woodstock, NY. I should mention that the emphasis is on acoustic guitars. 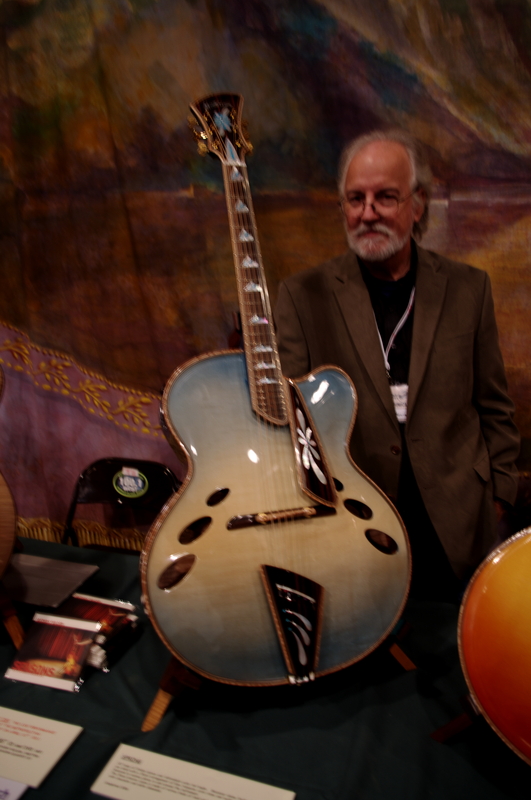 The show featured a Q & A panel discussion with luthiers and instructional clinics with professionals such as, jazz guitarist Howard Alden and folk guitarist (and instructional video mainstay) Happy Traum. 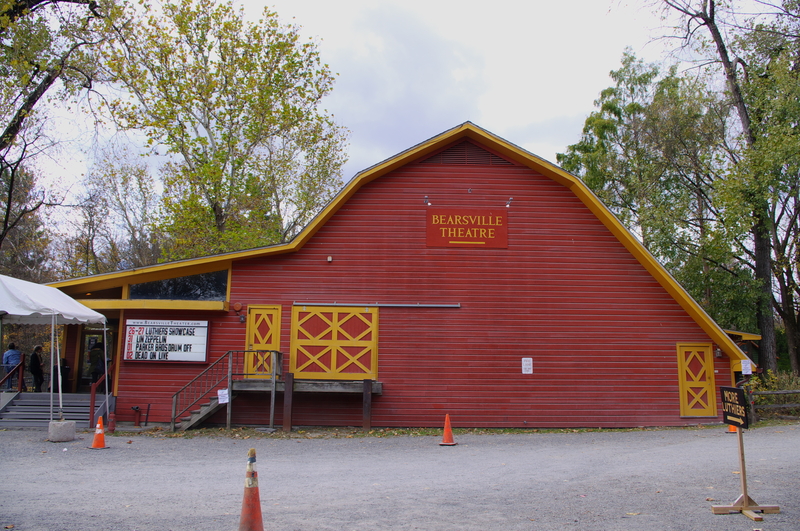 All the action was at the Bearsville Theater complex, once owned by Albert Grossman, who managed Bob Dylan, The Band, and Janis Joplin among others. There were mini concerts throughout both days in the lounge of the theater by the likes of John Abercrombie, Howard Alden, and multi-instrumentalist Larry Campbell, who has played with Bob Dylan, Hot Tuna and Levon Helm. 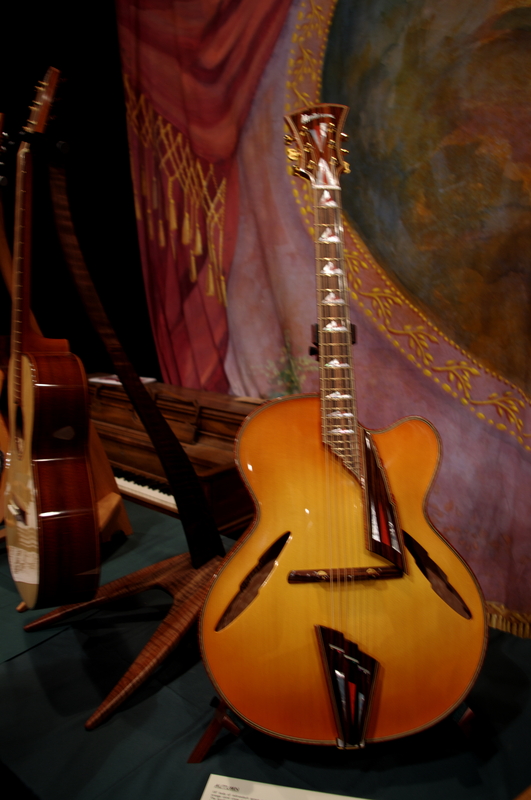 The luthiers displayed their works in the main theater space and next door at Utopia Studios (once owned by Todd Rundgren). Also inside Utopia were the special exhibits including the Doctorow collection, The Four Seasons by John Monteleone (four archtop guitars, each one representing one of the four seasons) which were recently displayed at the Metropolitan Museum of Art, and rare D’Angelico guitars on loan from Rudy Pensa (Rudy’s Music in NYC). Some of the many fine luthiers present were: Benedetto, Monteleone, C.F. 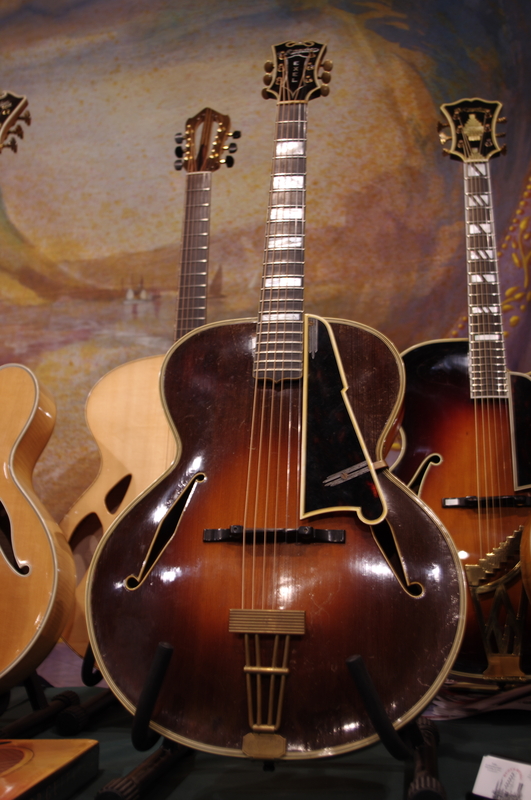 Martin, Veillette Guitars, Karol Guitars (featuring an unusual harp guitar design), and Harvey Citron.